Now that we have your attention, we are amazed to announce the partnership between Google and Samsung to produce the S4 with pure android/nexus. 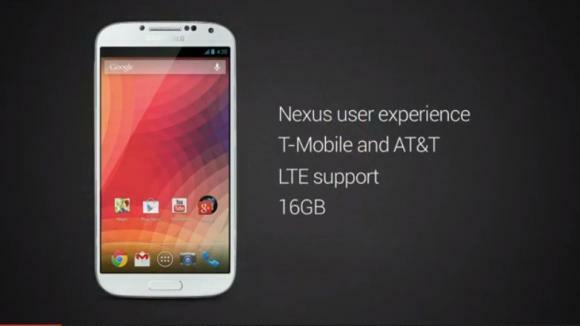 Although this device isn’t a Nexus device as such it is running pure android. This announcement at Google I/O has meant that the United States has received dates for shipment and carriers providing the device, which will be T-Mobile and AT&T. This device will be running an unlocked and completely open Android Jelly Bean 4.2.2 This device could very well be the best device to purchase in 2013. It literally takes the best hardware and software and smashes them together to create a device that many Android fans would die for. Prepare for a sell out in a matter of days! This entry was posted in Chromebook, Reblogged by James Arnett. Bookmark the permalink.